We have reached the top three. Welcome back, offense. I pretty much wrote my piece as it relates to Bell after the April 21 spring game. You can read that here; I’ll try and come up with some new ways to describe the junior college transfer and I will do so because I like Bell. Like, a lot. Nebraska didn’t have a back like him on the roster last season. They might not have had a back like him since Ameer Abdullah left. If you read that piece above, you’ve already seen these clips, but let’s look again because they’re pretty special and they’re all we’ve got. Bell has that “cut, now go” mentality. There are good backs on the Huskers’ roster. If Tre Bryant had a more durable set of knees, he’d probably be one of the upper-tier backs in the conference. Jaylin Bradley has some serious upside, he just can’t get on the field. Devine Ozigbo and Mikale Wilbon have experience and strength but aren’t quite hand-in-glove fits for the new offense (well, Ozigbo at the least). Bell, on the other hand, has this electricity when he runs. Bryant’s game-and-a-half last year felt like he was rumbling. Bell looks like he’s exploding. It almost looks effortless. Like that third-down run above where he just straight blew by defensive end Chris Walker (55). That was such a nonchalant missed tackle; Walker was totally in a position to do something and yet he was also totally not. Bell does not care that your entire family drove to the game to watch you play and the one snap you get on the field he makes you look like a middle school JV guy, no sir. This is the part where we queue the “It was only a scrimmage!” and the “He was going against backups!” lines from the audience and, sure, he was going against guys that are presumed to be backups. But he was also going against Will Honas. He was also going against Khalil Davis and Breon Dixon and DaiShon Neal and Damion Daniels and Marquel Dismuke. He’s also a reigning first-team junior college All-American and his Hudl film from his JUCO days show a lot of the same things. Still, there is a good deal of curiosity surrounding how Bell performs once the guys opposite him are wearing Wisconsin or Ohio State helmets because it wasn't great last year. Watching Nebraska run the ball last season, it felt a little bit like scrolling through the cable guide looking for something to watch then finding an episode of “Fresh Prince of Bel-Air” is on. There’s initial excitement — the show is never on — but it’s an episode you’ve already seen a hundred times. You watch because it’s Fresh Prince and Fresh Prince is the greatest thing to happen to television since the television but in your heart, you’re a little disappointed. Now, bear with me here, Greg Bell is the good Fresh Prince episodes. Like the one where Will and Carlton found out Hilary dropped out of college and blackmailed her into barking and smacking Will at the dinner table. 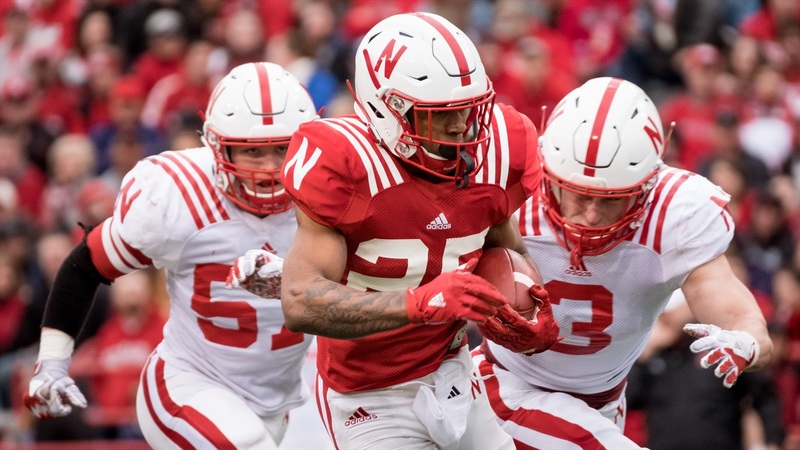 That metaphor definitely veered off the tracks a little but the point is this: each time Bell touched the ball in the spring game, there was a moment when you thought, “Oh yes, this is going to be good.” When was the last time a Nebraska back made you feel that on a consistent basis? The 6-foot, 200-pound back from Chula Vista, California, has the potential to be special in Nebraska’s offense if he gets the chance. The coaching staff has said they want to go by-committee and there are plenty of mouths to feed in the backfield, but Bell might get the biggest portion of the bunch. Color me intrigued.